My daughter decided to dress up scary this year ... she did all of her own latex and makeup. 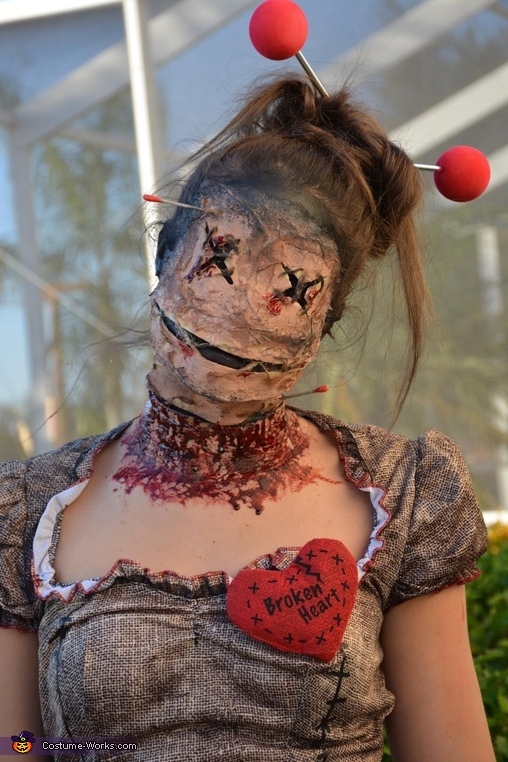 She is a Voo Doo doll with a slit in her neck. Used masking tape, lots of latex and toilet paper and then hand painted it once it dried. The eyes and mouth were both Sewn together. She scared several kids trick or treating this year and many stopped to ask to take photos with her. Took about 1 - 1.5 hrs prep time, and a couple hours to apply, dry and paint. For a 16 year old .. she did Pretty good!